The split-core design allows installation into existing networks without disconnecting cables or busbar circuits. 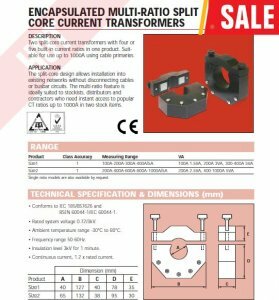 The multi-ratio feature is ideally suited to stockists, distributors and contractors who need instant access to popular CT ratios up to 1000A in two stock items. 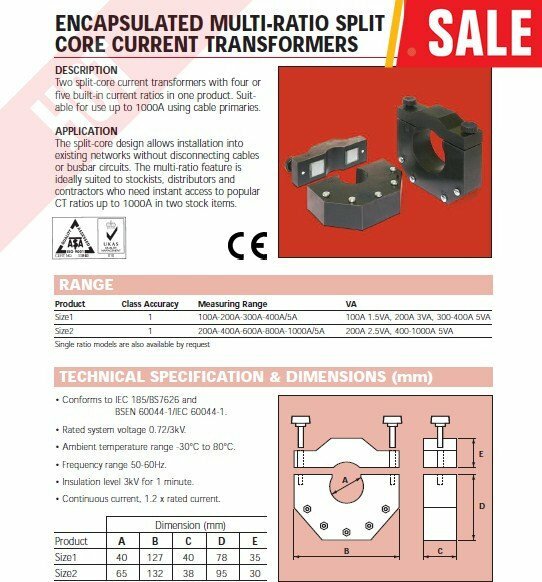 Conforms to IEC 185/BS7626 and BSEN 60044-1/IEC 60044-1.